Conventional wisdom says health insurers nudge patients toward generic drugs whenever they can, saving everyone money in the process. That's not always true. How it works: Mylan recently launched a generic version of the popular Advair inhaler at a 70% discount. But Express Scripts, which manages pharmacy benefits for 100 million people, is telling pharmacies to dispense the more expensive Advair brand because it won't cover Mylan's generic. Express Scripts only charges patients the copays and coinsurance they would face for the cheaper generic. But that likely doesn't help all people who are in high-deductible plans and are on the hook for all of their drug costs. An Express Scripts spokesperson contended patients pay on the "generic price whether in or out of deductible." The intrigue: This shows the power of rebates, and how both pharmacy benefit managers and branded drug manufacturers benefit from that system. GlaxoSmithKline, which makes Advair, would have to be offering Express Scripts a rebate of at least 70% to end up as the cheapest option. The other brand drugmakers on the list similarly would have to offer steep rebates to be preferred over generics. Express Scripts passes 100% of those rebate dollars to some of its employer clients, but keeps some of that money in other employer contracts. Why it matters: Express Scripts is getting the lowest price for these drugs and passing along savings. But patients with high out-of-pocket costs, as well as employers that don't keep all of the rebates, could be disadvantaged. 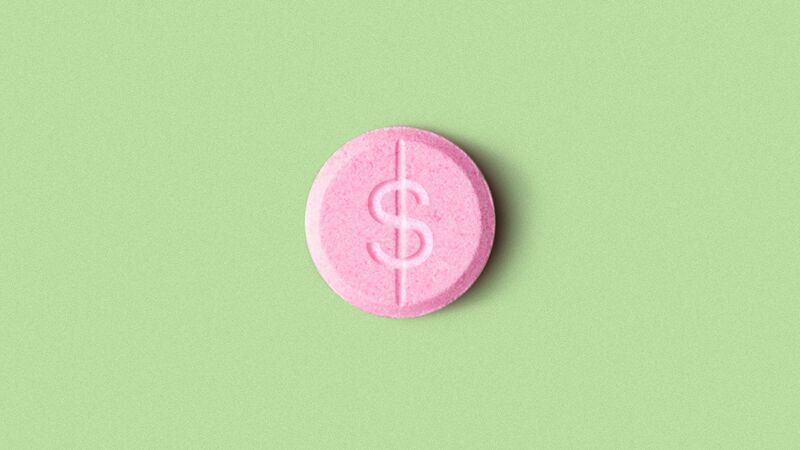 What they're saying: Steve Miller, chief medical officer of Express Scripts, defended the brand-over-generic program and said employers are getting the best deal. "We are the lowest net cost for clinically equivalent products," Miller said. "This is not about chasing rebates. This is about getting lowest net cost." GlaxoSmithKline said in a statement the Express Scripts program makes Advair "available to patients at copays competitive with generic versions" and that "it is up to payers to decide what products are reimbursed at which tiers." The big picture: Generics still make up 90% of filled prescriptions. Go deeper: Kaiser Health News has explored the "rebate trap" that blocks generic drugs.